It has been a whopping 38 years since I walked the streets of Haad Yai, Thailand as a Student Missionary. As anyone can imagine, a lot of life has taken place from that point on which has made the beautiful details fade. However, Thailand and its people are forever close to my heart. For years afterward I would refer to my Thai experience as being “like a curtain being swept away from the other half of my brain, revealing soooo much I hadn’t learned.” Being that age [in college], I must have thought I knew it all! 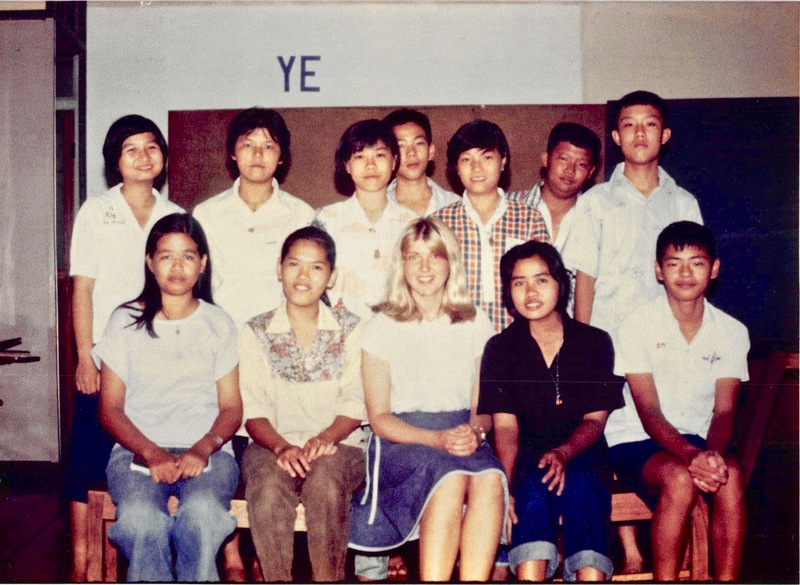 Sandy (Rowe) Keele pictured (front middle) with students in Haad Yai, Thailand in 1979. What motivated me to go in the first place was to see if the Lord would hold up this very timid me. It was to test Him. Doing this was a very big deal in my little world, and the Lord knew it. It may very well have been the first time I ever stepped out of the boat to see if He would honor my choice to trust Him. I’m happy to report that ALL year long He proved Himself! Not only that, but the time there served to propel me deeper His direction. So add me to the chorus who are all pretty much singing the same praises of Student Missions! How has it affected the remainder of my life? It has I’m sure, but I can’t accurately say how. Perhaps I’m more open to other cultures, for I love them ALL dearly. Not being wasteful in the least now, I have attributed this to seeing great need over there. And I’ll gladly support anyone going anywhere in any way I can. The Lord gave us the privilege to spread His great news! Sandy Keele with her husband, Don. 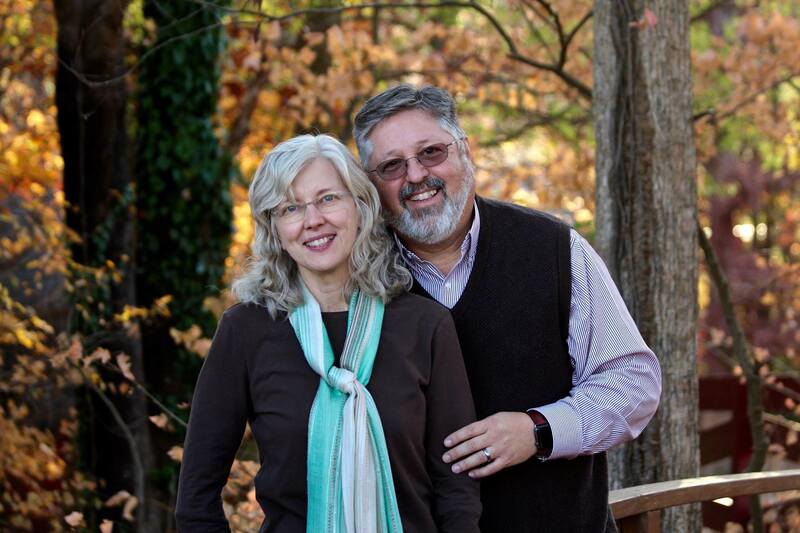 Sandy (Rowe) Keele was a student missionary from Southern Missionary College (now Southern Adventist University) and served as an English teacher in Thailand in 1979-80. 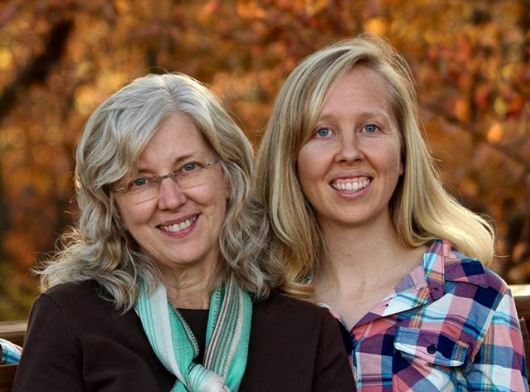 Both her kids also served as student missionaries from SAU, and her daughter, Andrea Keele, now works at the NAD Office of Volunteer Ministries (and manages this blog).